And that's the ball game. Spring Challenge #2 is done. This challenge was eleventy times better than the Spring 2014 version simply because of the relationships that were formed a year ago have transformed into friendships. We have a solid group of women who genuinely care about one another and are having a blast working together. That is by far the best part of these challenges. 4) her posts in the Facebook group were always genuine and sincere. She seemed very likeable and guess what, I was right....so without further babblage, here is her post. Deena is a fellow Get Your Pretty On Style Challenger and I’ve admired her personally unique and fashionable outfit posts as well as her witty sense of humour. When she asked if I was interested in writing a guest post for “Shoes to Shiraz” about the Spring 2015 Style Challenge we’d both recently participated in, I was honoured! I’m a 27 year old stay-at-home mom to a 1-year-old and a work-from-home executive assistant for the family construction business in the area of Saskatoon, Saskatchewan. Life is hectic. Life has little necessity for adorable outfits. My jobs as a mom and helping run a business behind the scenes don’t require a dress code other than what is comfortable, functional, and somewhat clean. It would be so easy to stay in pajamas, workout clothes, or no clothes all day. I’ll admit, it has happened; especially in those early newborn days. Which takes me back to reflecting where I was a year ago; an overwhelmed first-time mom questioning everything. My life felt turned right upside down and I no longer recognized anything as having to do with my former self. My body, my mindset, my activities, my lifestyle all changed. I struggled to climb out of the dark hole of identity crisis and post-partum depression. I didn’t know where to start putting my new life in order. It was about then when I stumbled upon Alison Lumbatis and Get Your Pretty On. I admired from afar during the Spring 2014 Style Challenge, wistfully thinking how awesome it would be to be able to wear such cute outfits rather than baby-stained pajamas and loungewear all day. 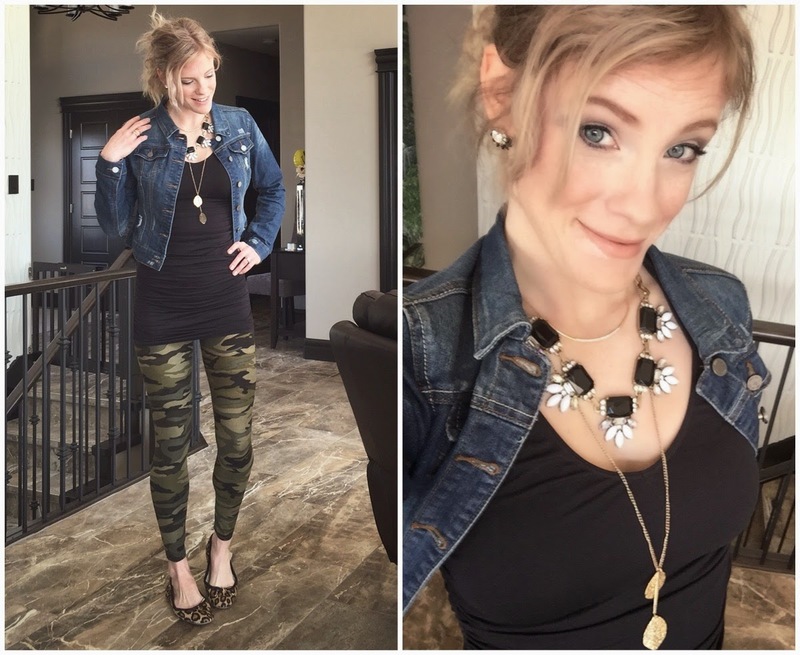 After a year of unflattering maternity and post-partum clothing, I desperately wanted to feel pretty again. Even if my body wasn’t the same, I needed to get some clothes to better represented who I was. Eventually I came to the conclusion that I could wear cute outfits and I justified doing something good for myself, because I deserved it after all I went through! I signed up for the Summer 2014 Style Challenge, and unknowingly entered a rare realm of life-changing awesomeness. When someone tells me exactly what to shop for and what to wear each day, it takes one small part of my life and simplifies it. On the most difficult days in my personal life, having just ONE less thing to think about and taken care of by someone else feels like a small piece of heaven. Order, freedom, and a touch of luxury replace some of the chaos. Having something in order, even something as simple as clothes, empowers me to feel in charge of my life. 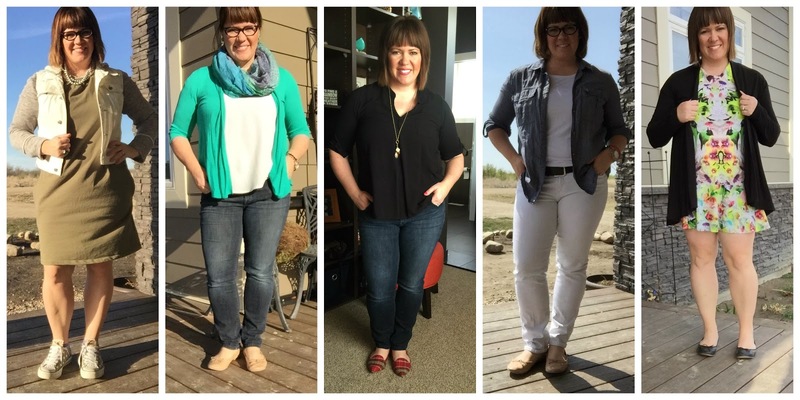 Instead of feeling down about trying to fit pre-baby clothes and “I look horrible," I changed my mindset to the issue being with the clothes and not my body. Old clothes from an old chapter in life no longer fit the new lifestyle I lived. I accepted that my body deserved new clothes to better represent how I wished to express myself to the world. It’s amazing what a well-fitted new garment can do for one’s outlook on life, and when there's a whole outfit or wardrobe of newness going on, perspectives change. When I started donating some items from my closet that I had replaced with updated items, I let go of some emotional ties to the past. By letting go of the old physical items, it helped me move forward. I no longer stressed about how I used to fit that dress five years ago. If I ever had a need to go to another event, I’d want to treat myself to a new dress anyway, and I’ll feel way more fabulous than I ever would in something old from another time in my life which only served to bring up negative comparative feelings. A slow and continual evaluation of my wardrobe has cleansed out any negativity I felt in regards to items associated with my body. If it didn’t feel 100% “me” when I put it on, I knew I wouldn’t reach for that item, so away it went to find a new home. My closet has never been so ordered by garment type and colour. Each time I walk into my closet, it’s a new representation and celebration of how I’ve chosen to treat myself. Cleaning out the clutter is good for the soul. The female-to-female relationship is complicated. Women have the greatest power to tear down other women, and the greatest power to lift them up. For some gals like myself with a tendency towards introversion, opening up to other women requires trust that I won’t be attacked or shamed. The Get Your Pretty On private groups for each style challenge have felt like safe havens of genuinely mature, caring women who simply wanted to make other ladies' days with honest encouragement and compliments. Posting selfies of myself in clothes I was unaccustomed to wearing was a leap of faith that it would be a positive experience, and it was so much more than that. I found a multitude of women who all share the same struggles and anxieties that I have with body image, life balance, and pretty much everything that’s hard about being female. I wasn’t alone, and there was peace in finding some openness. I enjoy the subtle web of connections amongst these women changing others’ lives through one inspirational post, admission of honesty, compliment, or piece of advice. Never underestimate the impact of even the smallest act. Women are powerful influencers of each other. Thank you, Michelle for sharing what the challenge meant to you! 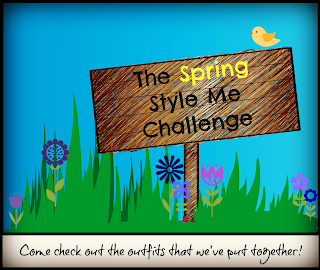 Now, my friends, please pay a visit to the other bloggers and see what they came up with for the last Spring Challenge Link up! Michelle was totally spot on. While I wasn't as active in the group as I would have liked, I really did love seeing Michelle's outfit. I remember when she wore those camo leggings and thinking Holy cow she has legs for days! I felt the SAME exact way as you Michelle after baby #2. and that was exactly at the same time as the Spring Challenge 2014, you are so right about everything you posted about, it's not about the material things, but just feeling better about yourself, which gives you more confidence which just makes everyone around you happier. 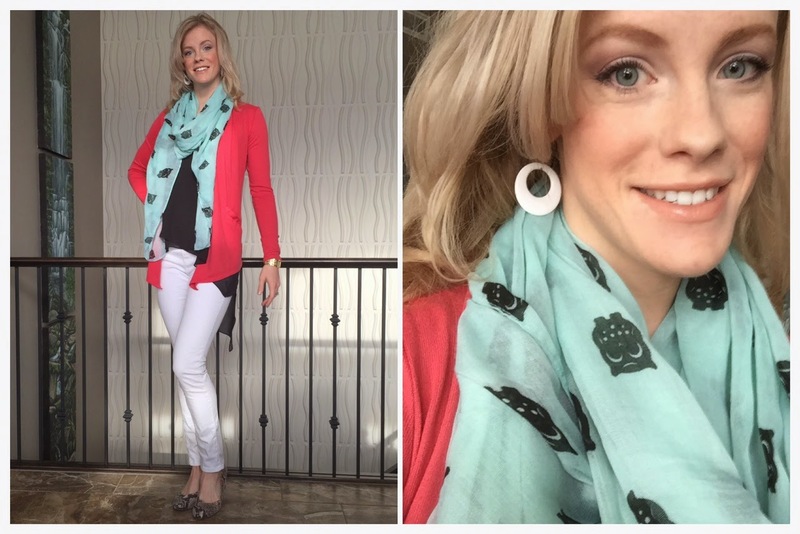 Great guest post from Michelle - she nailed it! And you look gorgeous as always Deena!